“Minutes after he walked unhesitatingly into the crowd, there was a deafening sound as the bomb spluttered to life and exploded in a blinding flash. A moment that, in my head, will always be frozen in time. 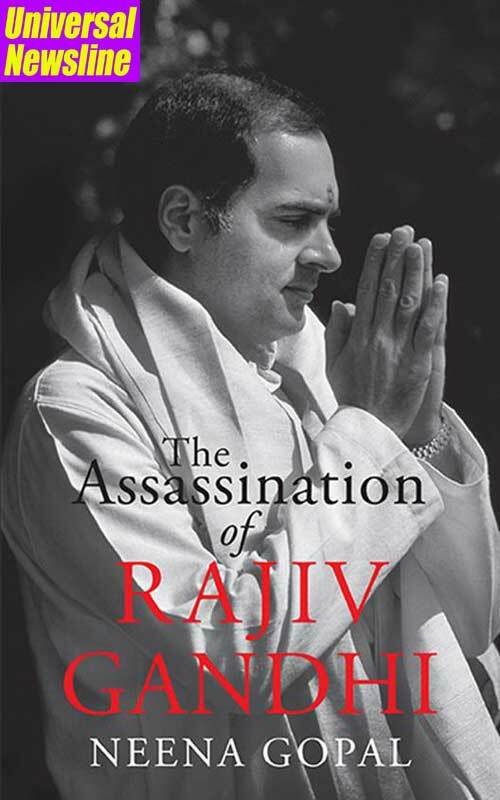 Neena Gopal’s The Assassination of Rajiv Gandhi gives a blow-by-blow account of the assassination as she was the last journalist to interview him and was just yards away when he was assassinated. In this gripping, definitive book, Gopal reconstructs the chain of events in India and at the LTTE’s headquarters in Sri Lanka where the assassination plot was hatched, and follows the trail of investigation that led to the assassins being brought to justice. Drawing on extensive interviews, research and her own vast experience as a journalist, she deftly establishes the background—the shortsightedness of India’s Sri Lanka policy; the friction between the intelligence agencies and between the agencies and the external affairs ministry; the many warnings that went unheeded; and the implacable hatred that LTTE supremo Prabhakaran felt for Rajiv Gandhi. Bringing all these complex threads together, Gopal takes us step by step to Sriperumbudur as Rajiv Gandhi walked inexorably to his death on that tragic May evening twenty-five years ago. A journalist for thirty-seven years, Neena Gopal began her career in a Bangalore that was the hotbed of post-Emergency politics. Moving to the UAE in the 1980s, she worked for the Dubai-based daily Gulf News where, as foreign editor, she travelled in the Middle East during and after Operation Desert Storm, the first Gulf War in 1990, covering war-torn Iraq and its neighbours through the Second Gulf War in 2003. Neena’s other news-hunting ground has been India and its immediate neighbourhood, both as a foreign affairs journalist and as a close observer of the life and times of many leaders in India, Pakistan, Sri Lanka and Afghanistan. She currently edits the Bangalore edition of Deccan Chronicle.